Some of our customers have been shopping at the South of the James Market since it’s first weeks. They often share tips that help them get the most out of their shopping trips. And we listen. Below is a list we’ve assembled along with some advice of our own. What would you add? –Keep berries and cherry tomatoes from getting squished by putting them in a plastic container you bring from home. 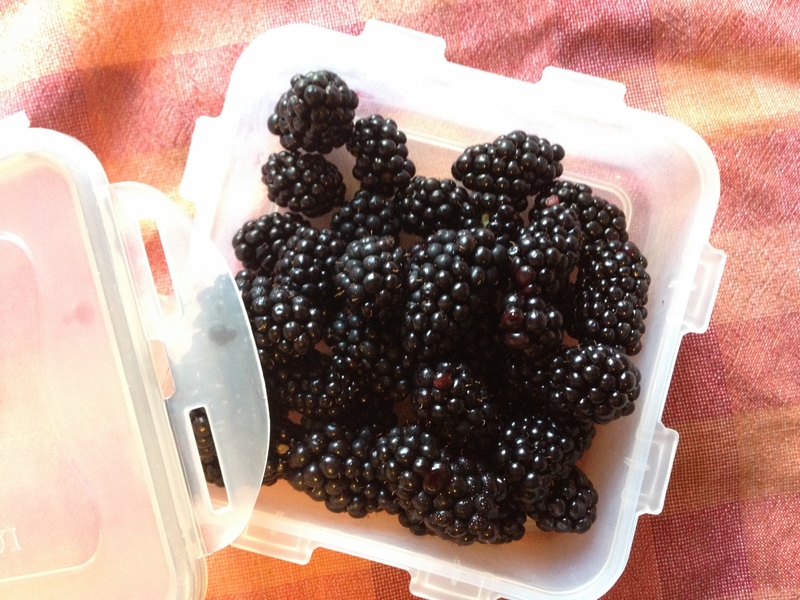 Dump the berries into your container, put the lid on and hand back the cardboard carton to the farmer to reuse. –When you get home – store fresh herbs like cilantro and basil on the counter in a jar of water — not in the refrigerator. 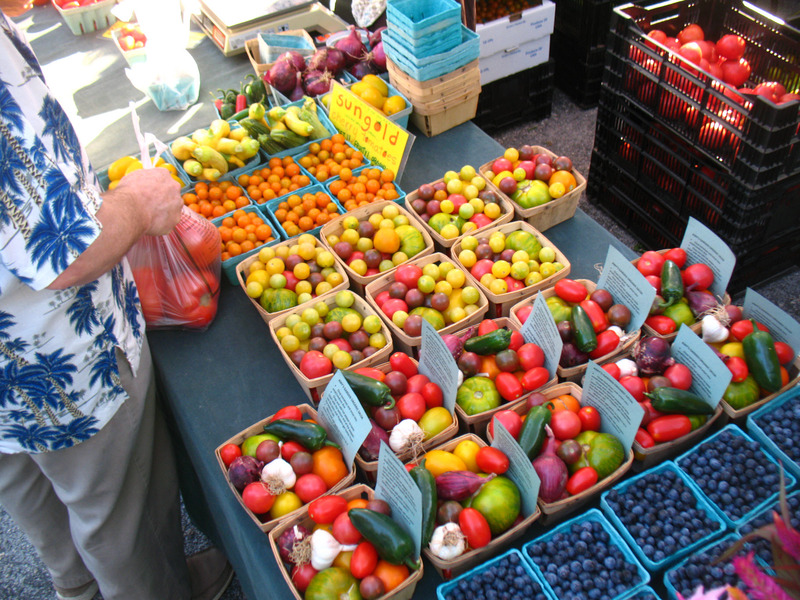 –Tag photos of your market bounty with #markethaul on social media. Use #sotj for the South of the James Market. 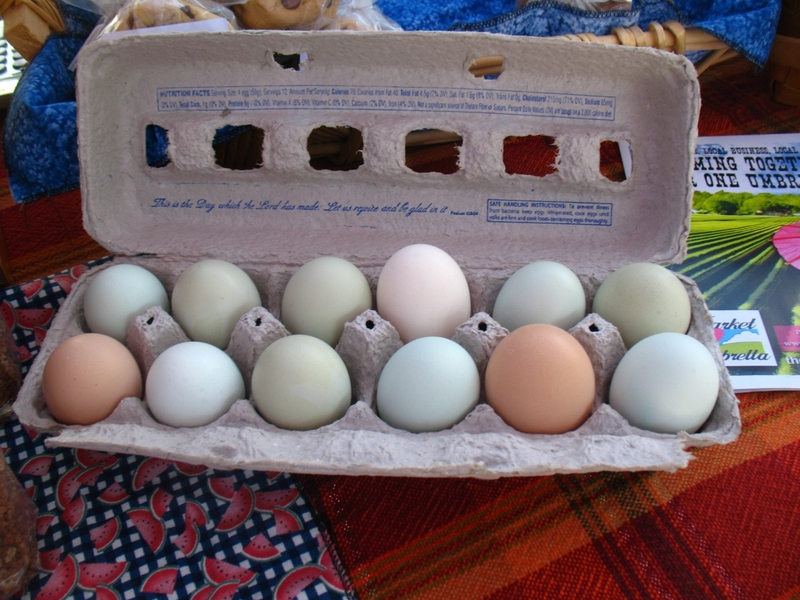 It’s a fun way to share your market finds and to see what others have found. –You know to bring a market bag. But do you bring your own plastic bags too? If you have extra plastic bags in your house, bring them to the market to wrap around your frozen meat. –When you stop to chat with friends, please be kind to the vendors by making sure you’re not blocking their tents. –If your dog is at all uncomfortable in crowds, around other dogs or near children, leave her at home. If you do bring your dog, keep a tight leash on him. Make sure he doesn’t pee on vendor tents and always pick up after your pooch. –Buy in bulk and buy seconds if available to get the best deals. A good time to ask about bulk deals is during peak season. Canning, freezing and dehydrating are just a few of the ways to preserve the harvest. –Try something new each time you visit. You may be surprised at how much there is to love at the market. 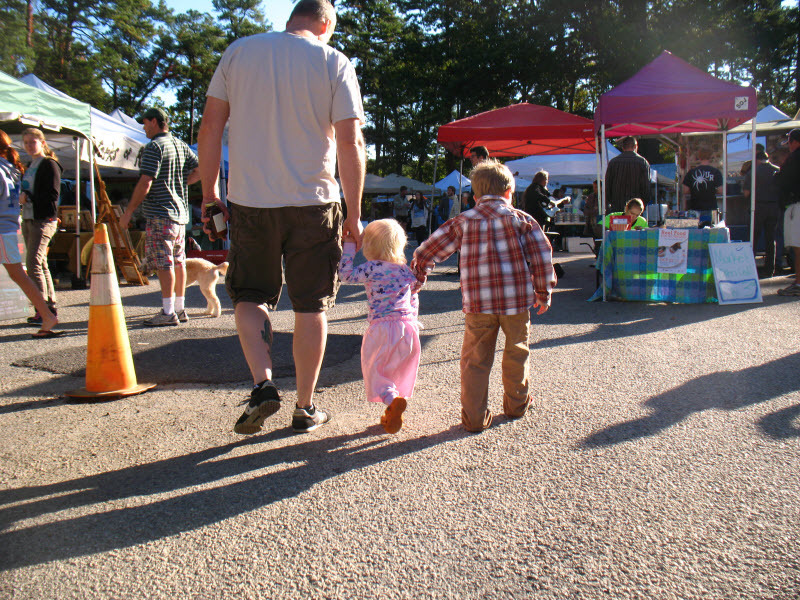 –Be aware of market hours (8am – noon, May – 1st Saturday in December; 9am – noon, 2nd Saturday in December – April) and watch out for vendors pulling into their spots in the morning and leaving after noon. It is unsafe and against market rules to shop before the market opens. –Keep an eye on your children. Please. –Ask about custom orders. Many of the art vendors will gladly make something specifically for you. —Pay using your SNAP card. Visit the GrowRVA tent to buy tokens with your SNAP benefits. These tokens can be used to buy fresh produce, dairy, eggs, meat and plants. –Eat with the season. Instead of finding a recipe and then looking for the ingredients, come to market and get inspired by what’s in season and then find a recipe. Ask the vendors for recipes and cooking tips too. They are great resources! –Bring cash and ideally smaller bills. While many vendors do take credit, some do not and most do prefer cash. They have to pay a fee for every transaction using a credit card. –Don’t let rain or snow stop you. 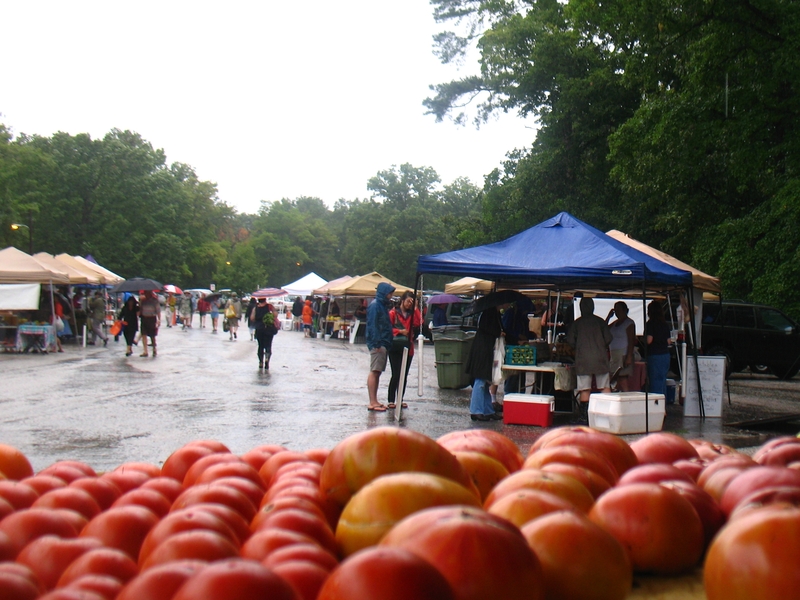 The South of the James Market is open year round, rain or shine. We only close for dangerous weather. –Ask questions. If you want to know how they raise their sheep or what they spray on their plants or which ingredients they put in their bread, ask them! –Bring a cooler bag or leave a cooler in your car to help keep cold items cold. –Become a regular. Build relationships with vendors by shopping from your favorites as often as you can. 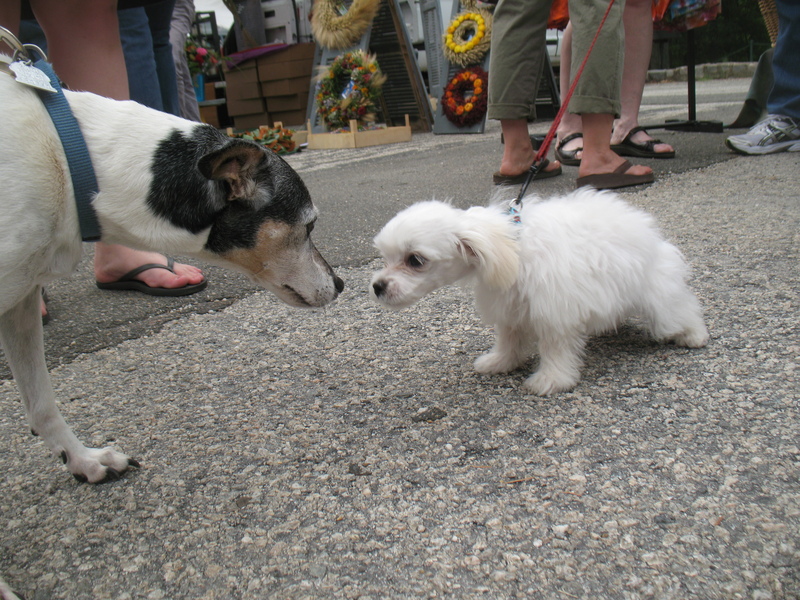 Amazing friendships are born at the market! 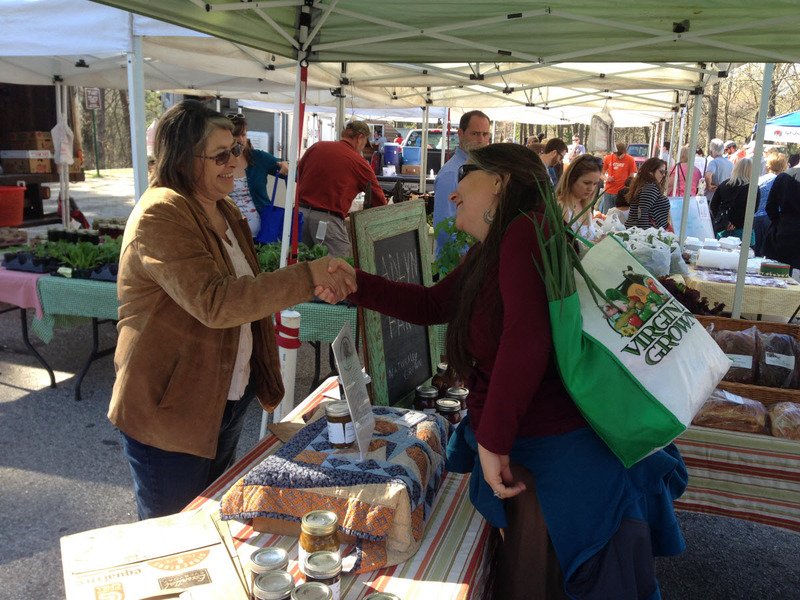 Market vendors are all small businesses that we at GrowRVA are trying to help succeed. Your support is vital. Thank you!